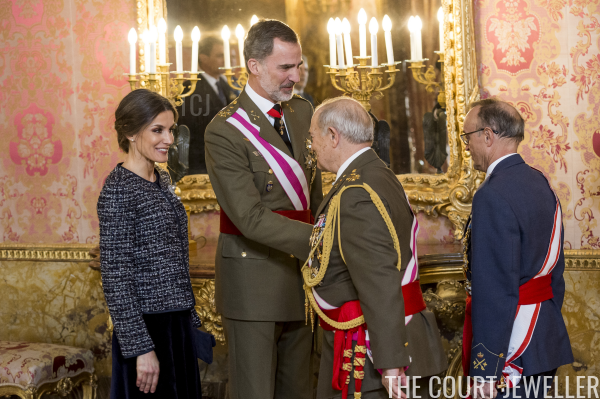 Queen Letizia of Spain just keeps surprising us with more and more heirloom royal jewels, and I couldn't be more delighted! 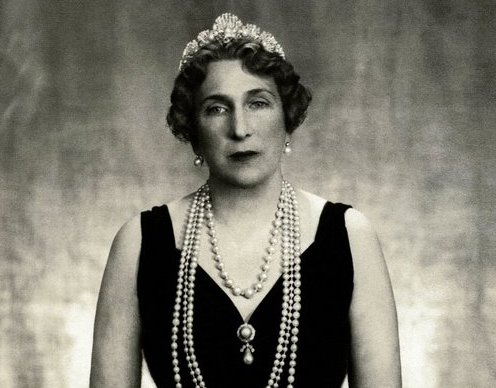 This week, she reached for Queen Ena's Gray Pearl Drop Brooch. ...and then moved inside the Royal Palace for a reception. 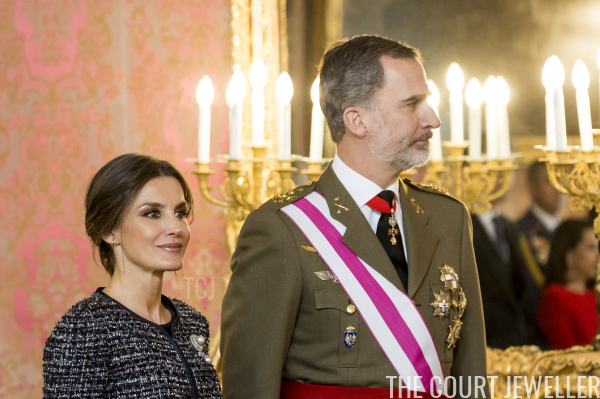 Letizia debuted another piece from the joyas de pasar, the collection of jewels that Queen Ena designated to pass from monarch to monarch in Spain. (More on the entire collection here!) 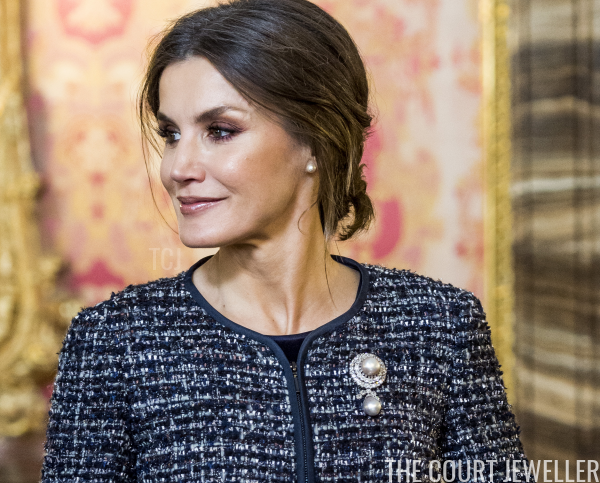 This time, she chose the "broche con perla grande gris pálido rodeada de brillantes y del cual cuelga una perla en forma de pera," a brooch with a large, pale gray pearl surrounded by diamonds, from which hangs a pear-shaped pearl. 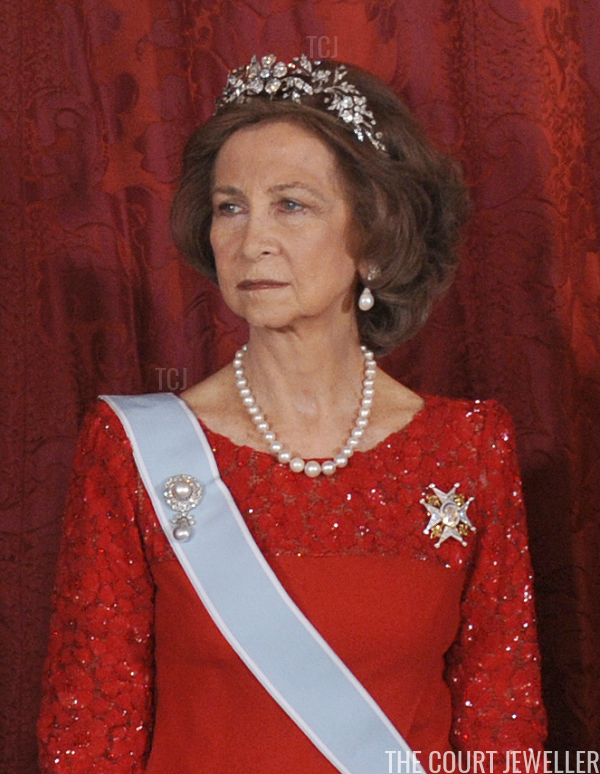 The brooch has two notable features that help distinguish it from other royal brooches. The top portion features a pale gray pearl surrounded by a double cluster of diamonds, while other similar pieces from the Spanish royal vaults feature only a single diamond cluster. Also, the pearl pendant is suspended from an additional chevron of diamonds, providing it with a sort of diamond frame. That chevron-style frame is clearly visible in this photograph of Ena, taken in the 1920s. 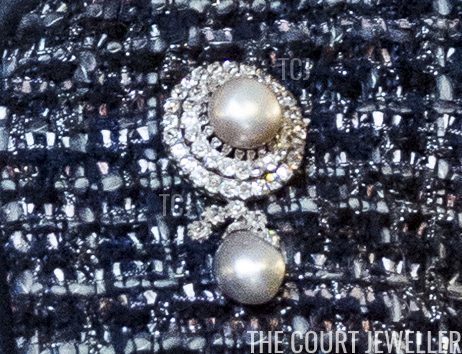 You'll note here that the brooch only features a single cluster of diamonds around the round pearl. The second row of diamonds was a later addition, made during Ena's lifetime. 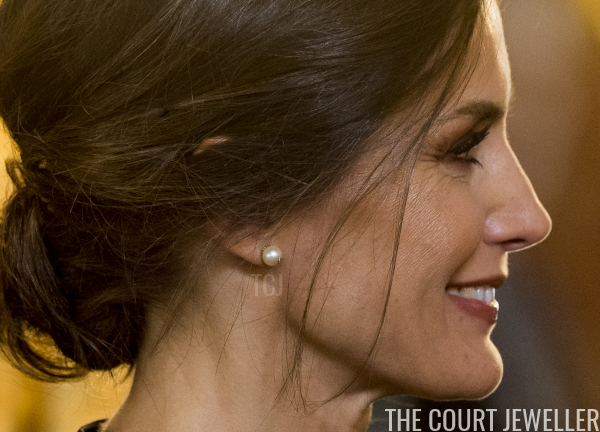 Along with Queen Ena's brooch, Letizia wore a pair of embellished pearl stud earrings. 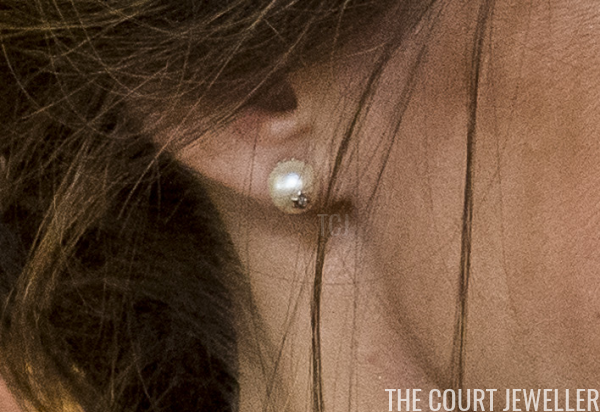 This angle gives you a better view of the silver-toned design on the pearl.